The SkyCaddie SW2 with no annual fees required is preloaded with 35,000 course maps and ready to play with accurate distances to the front, center and back of green. 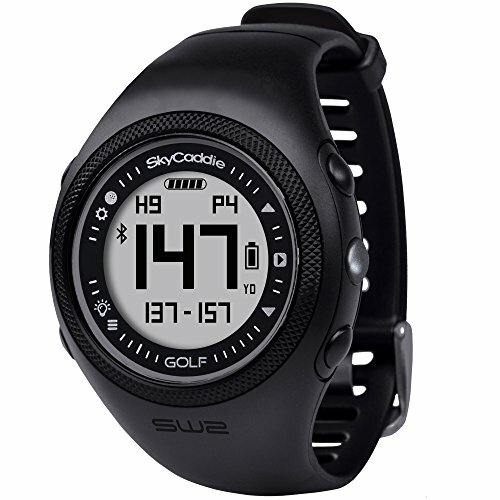 With a slim, lightweight profile, extended battery life and built in Bluetooth Smart technology, the SW2 is ideal for golfers looking for quick distances on their wrist. Get instant yardages quickly and easily without aiming a laser, overshooting the pin or guessing. The SkyCaddie SW2 will give you yardages to the green, even if you can't see it, try doing that with a laser rangefinder. Sky golf takes no such shortcuts when it comes to your game.